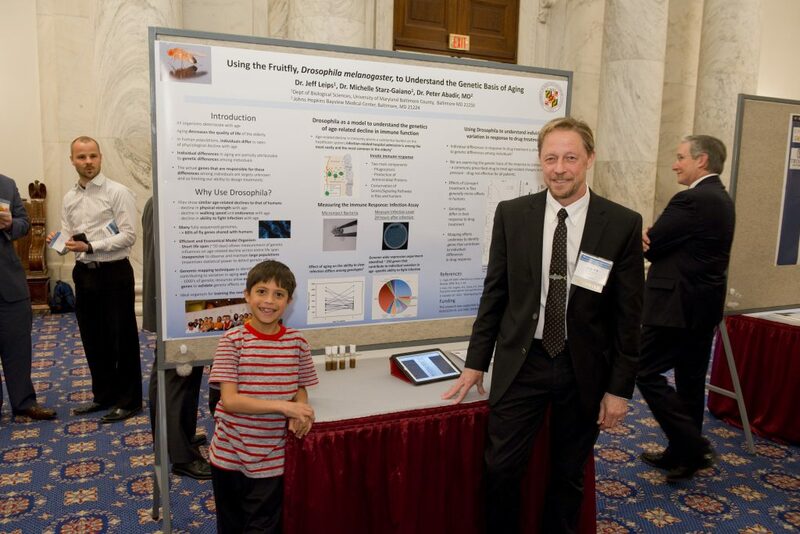 A couple of weeks ago I presented a poster at an unusual event, entitled “Wasteful” Research? Looking Beyond the Abstract which was sponsored by the Coalition to Promote Research (CPR) and the Coalition for National Science Funding (CNSF). It was unusual (at least in my experience) for two reasons. First, because I was accompanied by my nine year old son (thankfully, he thought it was an awesome experience). Second, because the event was designed to allow scientists to respond directly to unfair media and legislative attacks on research (highlighted in Senator Flake’s Wastebook The Farce Continues). The event took place in the Kennedy Caucus Room of the Russell Senate Office Building. As far as I know, I was the only one of the nine presenters whose research had not been singled out as wasteful; however, the model organism I work on has been maligned recently and somewhat famously by vice-presidential candidate, Sarah Palin. So, this was our chance as a group to explain just exactly why taxpayers should foot the bill for basic research and to do so in laymen’s terms. I realized that the only other time I’d been asked to do this was in the written portion of my preliminary exams in graduate school. I especially remember it because I failed that part of the exam. Little did I know at the time that I’d get a redo in an environment where it might actually count. The event was well attended and I was able to speak to Senate staffers, book publishers, members of the press and scientists in other fields. It was a great experience for me because it not only allowed me to explain the rationale and benefits of research on model organisms (and practice doing so in terms that non-scientists could understand), but also it gave me a sense of people’s questions regarding the relevance of fruit fly research. One senate staffer that I had an extended conversation with explained that one of his frustrations with scientists is that they are not outspoken enough in support of their work. He suggested that we as a community be more involved in organizing similar events on their own campuses, where state and federal policymakers could be invited to visit. He noted that not only are such events good photo opportunities for the politicians (and so they are likely to attend), but also that this would be an ideal opportunity for us to demonstrate the value of our work to legislators that make decisions about funding. Local science advocacy events would also allow politicians to see and interact with the people involved in the research community, from undergraduates to postdocs, allowing them to put faces on the scientific enterprise. He even suggested jokingly that such events be coined as an “Invite Your Conservative Colleague to Campus Day.” At least I think he was joking. The one thing he felt strongly about, which was a surprise to me, was that scientists should become more involved in the political process, including being more aggressive at fighting back against ill-informed critiques of research funding, finding ways to serve as scientific advisors and even running for office. He told me he is often in meetings with legislators that are dealing with aspects directly related to science policy and there are no scientists in the room to consult with. I left the event convinced that scientists need to be more politically involved if we wish to improve the public perception of our work and have greater success in maintaining government support for research. Given the fact that graduate students face an increasingly difficult job market, guiding more students to consider careers in government and encouraging them to apply for things like Congressional Science Fellowships would increase their opportunities for gainful employment in meaningful careers, while at the same time serving a real national need. 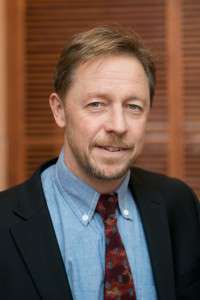 Dr. Jeff Leips is a professor in the Department of Biological Sciences at the University of Maryland Baltimore County. His research combines quantitative and ecological genetics to address questions related to life history evolution and aging.